Developing companies into competitive leaders in their local, national and global markets through Lean Transformation. I began implementing Lean principles shortly after graduating from Oklahoma State University in Mechanical Engineering. I obtained my Professional Engineering license after a five-year training and experience tenure, and continued to learn Lean elements while gaining experience in management, design, machining, welding, metal forming and a six-year stint as a machine tool/capital equipment salesperson. 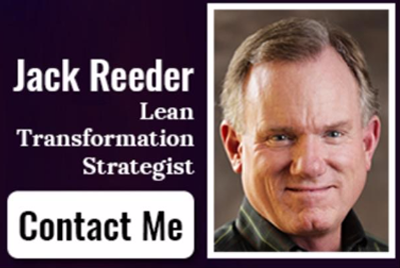 I started my journey in Lean manufacturing in 2000, where I performed introductory training, developed strategic plans for Lean implementation, instructed internal Lean facilitators on-site through coaching and mentoring, led improvement blitzes, trained teams in specific Lean tools, and transitioned companies to actual continuous improvement. In 2013 I founded Kaizen Trek as a private consultant to better serve my clients in Tulsa, Oklahoma and the surrounding region with renewed enthusiasm and proficiency. Let’s develop your company into a market leader. I love seeing Oklahoma companies, their satellite plants and home offices become competitive on the world stage. My work allows me to contribute to the state I love by developing Oklahoma companies to maximize their profitability and potential. A Japanese word that literally means “good change” has taken on the expanded definition of “continuous improvement” [CI]. CI is the foundation of the Toyota Production System, called Lean in the United States. Lean Transformation is indeed a journey. There are many obstacles and pitfalls that an experienced leader can help you avoid. It’s a continuous journey toward improvement. But the results of Lean Transformation will begin to show in your financials within a few weeks. No one, not even the originators of the system, is there yet. Toyota began over 60 years ago, and they are still continuously improving while running a tremendously successful business. Let’s get to work on your Lean Transformation.